With two sons and a son-in-law in law enforcement, Keith Kmieciak understands the sacrifice and responsibilities involved in the profession. Back in March of this year, Keith was diagnosed with head and neck cancer. 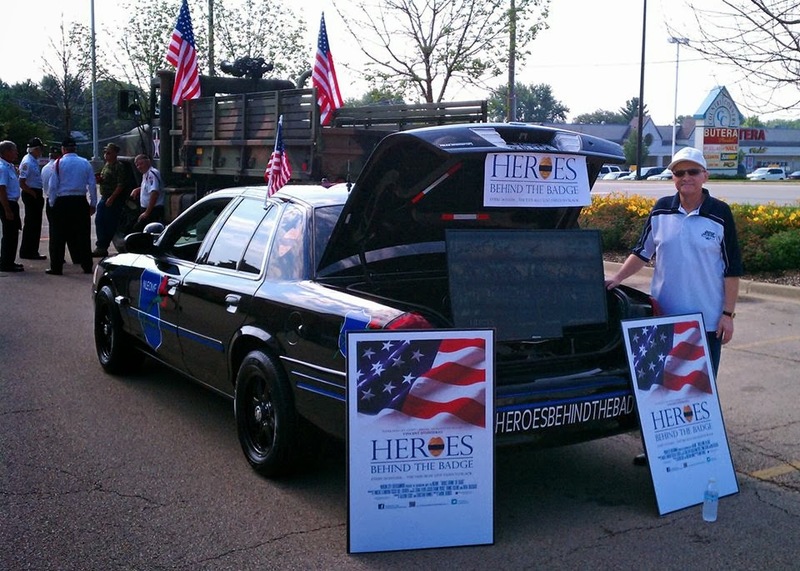 As a form of therapy and to keep his mind off his diagnosis, Keith and his wife Sue purchased a stripped 2004 Ford Police Interceptor to turn into a memorial vehicle for the National Law Enforcement Officers Memorial Fund. Keith and Sue worked on the car each day, installing special features like a 42-inch screen in the trunk with an electronic hydraulic lift to raise it. 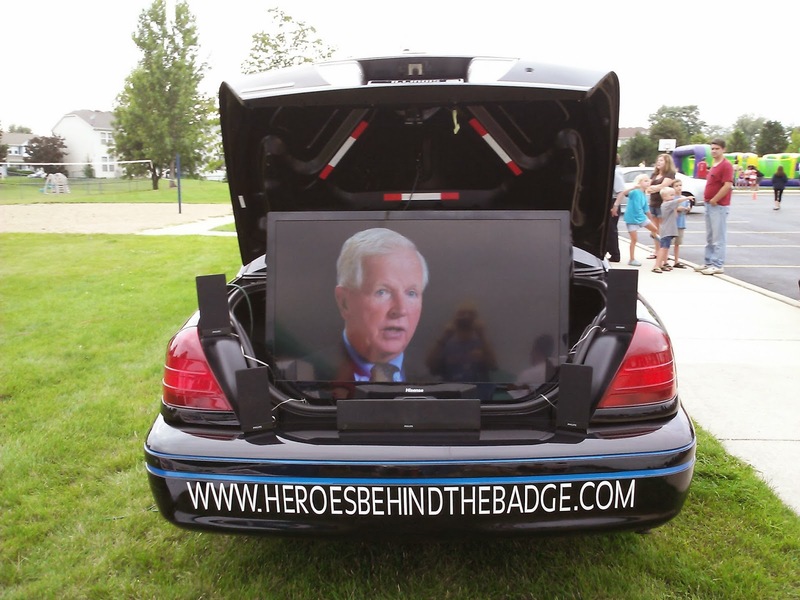 Keith uses the screen to play the film, Heroes Behind The Badge, to raise further awareness for our cause. The vehicle made its public debut at the Fourth of July parade in South Elgin, IL. 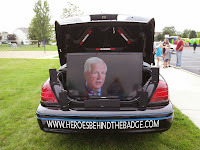 On Saturday, August 31, Keith—whose last scan showed he is cancer-free—displayed the vehicle at the seventh annual Charity Car and Motorcycle Show at the Martin Family Farm in Elburn. He took home the first place prize for the emergency vehicle category. 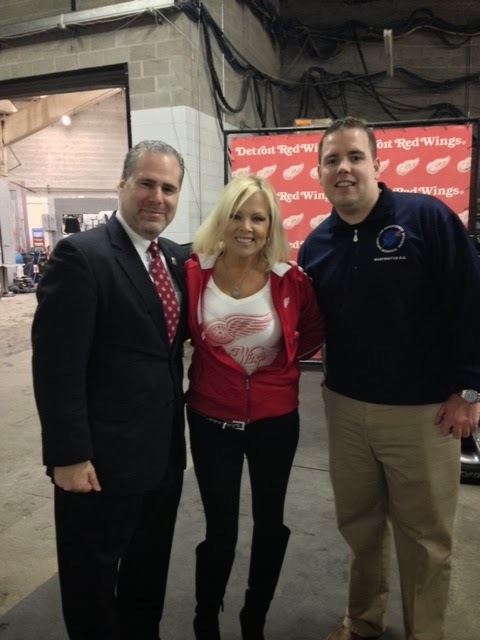 A special thank you to Keith and Sue for their support of the Memorial Fund! Based on the fatalities information in the National Law Enforcement Officers Memorial Fund's 2013 Mid-Year Law Enforcement Fatalities Report, the VALOR program formulated the following training recommendations for officers. These recommendations are intended to help prevent violence against law enforcement officers and ensure officer resilience and survivability during violent encounters. Learn more and sign up for free officer safety trainings at http://ValorForBlue.org. 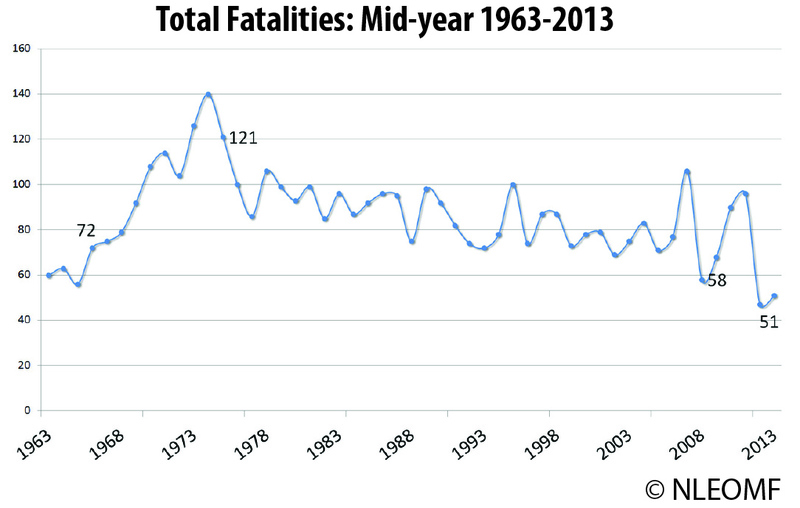 Handguns remain the primary weapon used to kill law enforcement officers in the United States. Close quarter handgun retention training and short distance handgun firing practice are vital to officer survival on the streets. Officers should not merely fulfill their mandatory training obligations but also take time to practice these potentially life-saving skills on a regular basis. Finding 2. Job-related illness such as heart attacks quintupled in the first half of 2013 compared to the previous year. Departments with wellness programs should encourage officers to actively participate and, for those agencies without formal programs, local leadership should promote a healthy style of living, including a nutritious diet and regular exercise routine. Finding 3. Fridays are the deadliest day of the week for officers so far in 2013. Although most citizens look forward to Fridays and the start of their weekend, they can prove to be just as deadly as any other day for law enforcement officers. Supervisors should urge officers to be extra vigilant as they begin their weekend of policing. 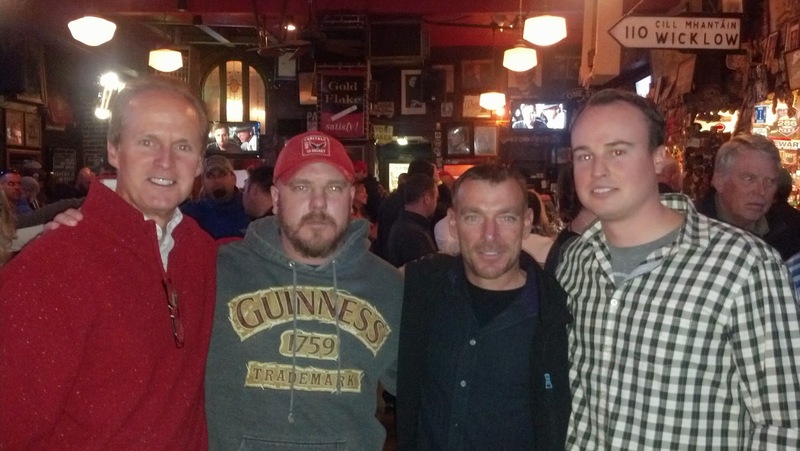 This past Thursday was a great night in Boston for law enforcement and Red Sox fans! The Red Sox hosted their second annual Law Enforcement Appreciation Night, where they put on a spectacular tribute to law enforcement. The on-field tribute occurred right before the National Anthem. 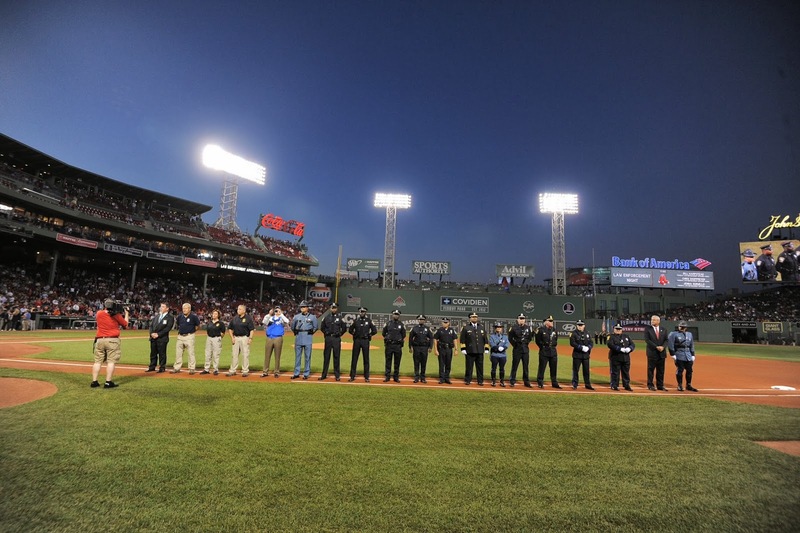 During the on field tribute, Memorial Fund Chairman & CEO Craig W. Floyd, former Officers of the Month and many law enforcement involved in the Boston Marathon bombings lined up on the first base line and introduced individually—they even invited the officers’ families down on the field. In attendance was the Memorial Fund’s November 2012 Officer of the Month, Trooper Douglas Cropper of the Maine State Police, who on saved countless motorists on Route 295 in Portland, Maine, from an individual who was operating a motor vehicle in the wrong direction. 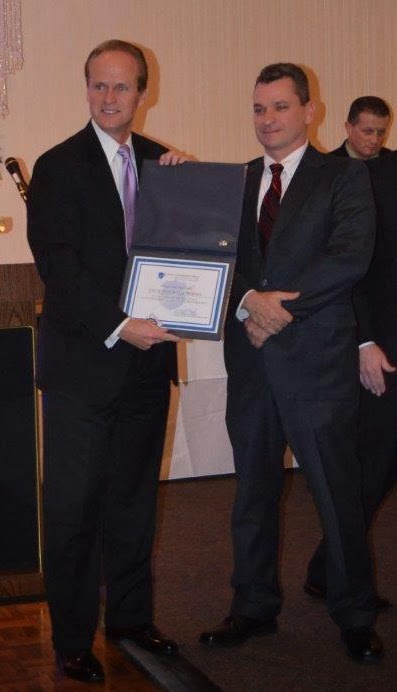 Also in attendance was the Memorial Fund’s January 2013 Officer of the Month, Officer Charles Law, of the Stratham (NH) Police Department, who dragged several wounded officers to safety as a result of a gun battle involving a drug dealer in Greenland, NH. From the Watertown (MA) Police Department: Sergeant John C. MacLellan, Officer Joseph B. Reynolds, Sergeant Jeffrey J. Pugliese, Officer Timothy B. Menton, and Officer Miguel A. Colon, who were all involved in the apprehension of the second Boston Marathon bombing terrorist after a lengthy standoff and gun battle in Watertown. These five Watertown officers were also joined by Chief Edward Deveau, who honored his officers on the field. Joining them were four Youth Violence Task Force members from the Boston (MA) Police Department who were also involved in the apprehension of the second Boston Marathon bombing suspect in Watertown. They are: Officer Miles Lawton, Officer Gregory McCormack, Officer Gregory Eunis, and Officer Terrique Chambers. Also in attendance was Massachusetts State Trooper Christopher Dumont, who was significantly involved in the Watertown incident involving the Boston Marathon bombing suspect. Representing the Federal Law Enforcement Officers Association (FLEOA), Bill Hampstead, Director of Outreach, Chris Shoppmeyer, Vice President of Agency Affairs, Jenna Surwillo, Chapter Officer for the FLEOA Boston Chapter, and Frank Depippo, Chapter President of the FLEOA New Hampshire chapter. From the Boston (MA) Police Department, Superintendent William Gross and from the Massachusetts State Police, Trooper Kati Downey was in attendance. 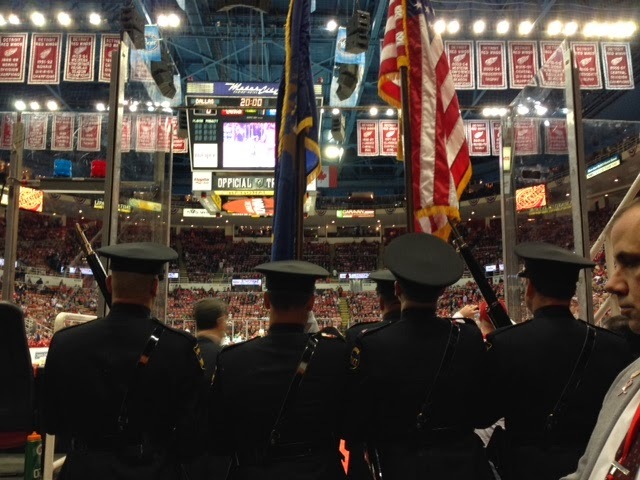 After the introduction of the law enforcement officers, there was heartfelt standing ovation from the crowd! 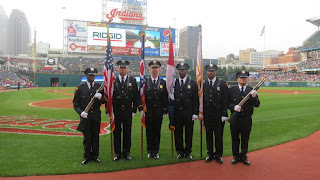 Then the Boston (MA) Police Department and Massachusetts Environmental Police Honor Guards presented the colors. By the end of the night, the Red Sox had triumphed over the Orioles with a score of 3-1. What a great night for Law Enforcement and their friends, family and supporters! Today, at an intimate gathering held at the National Law Enforcement Officers Memorial in Washington, DC, Memorial Fund staff and friends were joined by US Park Police Chief Teresa Chambers and Amtrak Police Chief Polly Hanson, to honor the 72 peace officers killed tragically on September 11, 2001, the deadliest day in law enforcement history. Memorial Fund Chief Operating Officer Herbert Giobbi welcomed guests and shared poignant remarks about that tragic day 12 years ago, followed by a reading of the 72 names by Memorial Fund staff members. On August 28, 2013, Baltimore County (MD) Police Officer Schneider was killed while serving a warrant. He was the first officer killed in the line of duty in Maryland in 2013. Recently, our friends at Clear Channel Outdoor decided to create a special tribute for Officer Schneider. 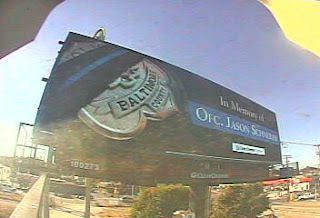 They created a billboard in Baltimore that displayed Officer Schneider’s name beside a Baltimore County Police Badge covered with a mourning band. This tribute from Clear Channel Outdoor was a wonderful show of support for Officer Schneider’s family, and all members of the Baltimore County Police Department, and all of the passersby who see it serving as an important reminder of the sacrifices that our peace officers make for us each and every day in the name of public safety! 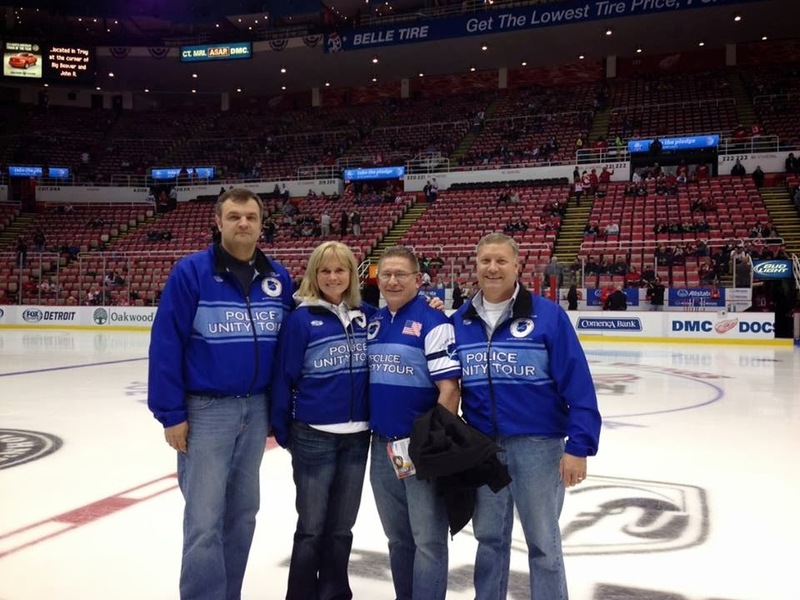 Throughout the year our Ambassador & Guardian volunteers support our mission to honor law enforcement in many ways. 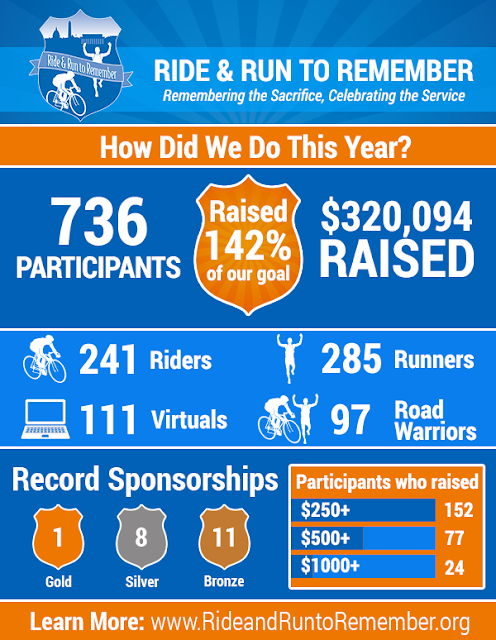 One way is by participating in the annual Law Enforcement Ride & Run to Remember. The Ride & Run to Remember (October 12-13, 2013) is a fun, community-oriented athletic event designed to honor the contribution and sacrifices law enforcement officers make every day, and encourage community support for the Memorial. So far some Ambassadors & Guardians who will be participating this year include Kevin Whalen, Adam Tager, and actor and Memorial Fund supporter, Vince D’Onofrio. Kevin Whalen will be participating in the 55-mile bike ride starting and finishing at National Harbor on Saturday, October 12. Kevin will be riding with his colleagues and friends with the FLEOA DC Chapter# 9 Team. Adam Tager will be participating in the 5K run that starts and finishes at the National Law Enforcement Officers Memorial on Sunday, October 13. Adam is the team captain of the LEO Supporters Team. Vince D’Onofrio is participating virtually this year with the Arrested Development Team. Thanks to these Ambassadors & Guardians for their support. Even if you can’t join us in Washington, DC for the event, we encourage you to register as a Virtual Participant and ride or run in your hometown. Ask your neighbors, friends, and colleagues to join you for a bike ride or a 5K. Virtual participation allows you to create your own course and have some fun—all to raise support for a great cause. The idea for a national memorial honoring America's fallen police officers was actually first proposed in 1972 by Donald J. Guilfoil, a detective with the Suffolk County (NY) Police Department. It was Detective Guilfoil and the Suffolk County PBA who got the initial federal legislation introduced to establish the Memorial. But it was not until 1984, with the formation of the National Law Enforcement Officers Memorial Fund, that the idea started to become a reality. Yesterday, former Detective Guilfoil passed away. In honor of his passing, the flags at the National Law Enforcement Officers Memorial will be flown at half staff tomorrow. We will always remember him as an instrumental leader is building the Memorial as a lasting tribute for our nation’s fallen heroes. On Thursday August 8th, the Cleveland Indians hosted their 2nd Law Enforcement Appreciation night benefiting the National Law Enforcement Officers Memorial Fund. 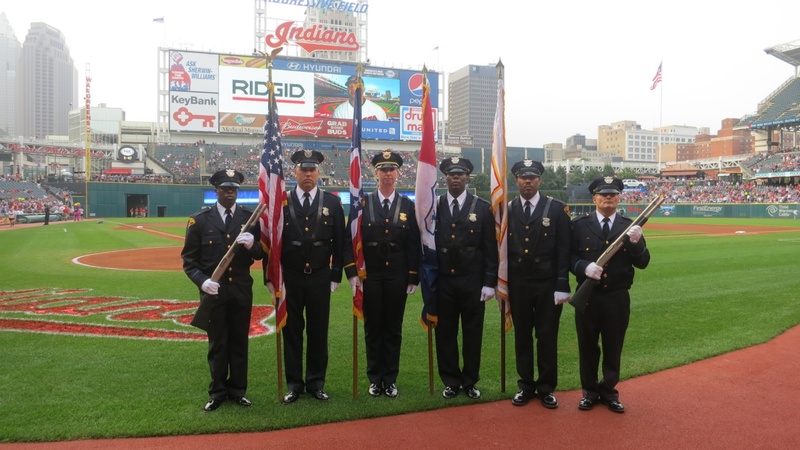 Before the Indians took to the field against the Detroit Tigers, Memorial Fund friends and supporters gathered as the Cleveland Police Department Honor Guard presented the colors. Sheriff Matt Lutz of the Muskingum County (OH) Sheriff’s Office, the Memorial Fund's January 2012 Officer of the Month Award recipient was on hand and recognized at home plate for the work that he and his deputies did in protecting the citizens of Muskingum County, OH from the release of 56 exotic animals in October of 2011. 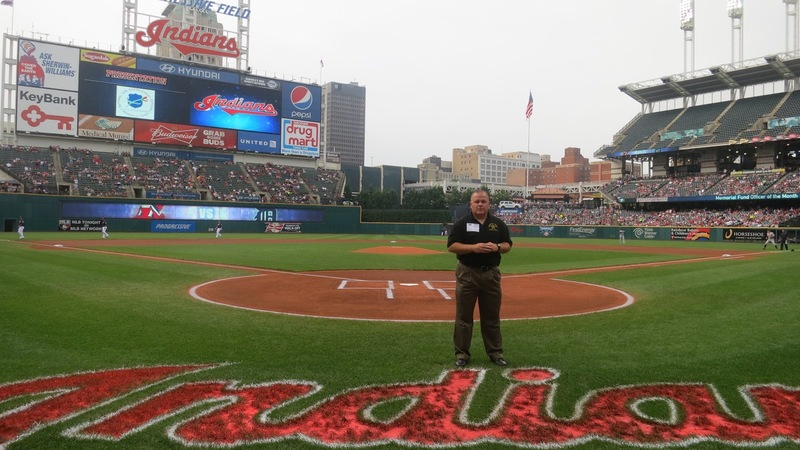 Detective Tom Armelli threw out the opening pitch on behalf of the Cleveland Police Museum and Historical Society. 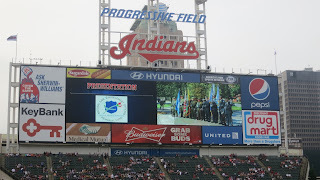 The Cleveland Indians put on a great event that recognized the fallen officers from the Willoughby (OH) Police Department, Cleveland (OH) Police Department and Akron (OH) Police Departments while also highlighting the important work law enforcement does every day to keep us all safe. More than 272 tickets were sold for the game, raising more than $1,300 for the Memorial Fund. Special thanks to Law Enforcement Ambassador Brent Clark for his hard work getting the word out about the game and working with the Cleveland Indians to honor public safety. Yesterday, a group of law enforcement leaders studying at the Federal Bureau of Investigation National Academy visited the National Law Enforcement Officers Memorial to honor the service and sacrifice of our nation’s fallen officers. The group's ceremony began with a presentation of the colors. 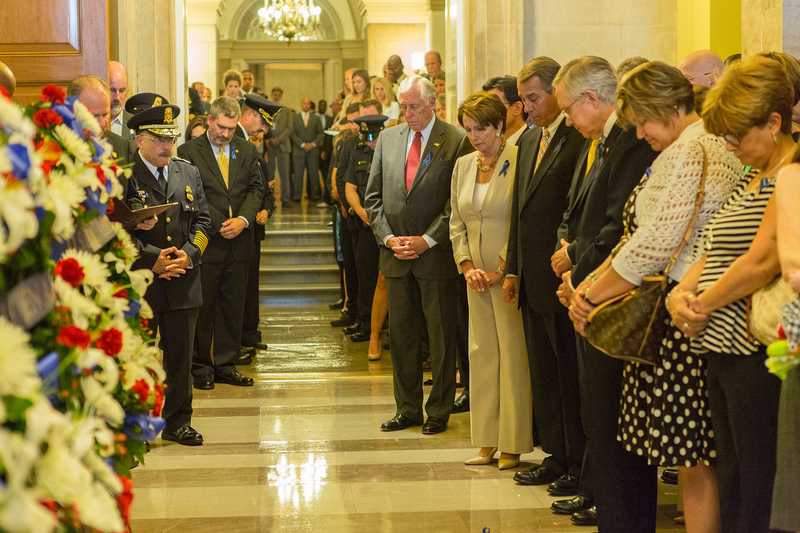 Following remarks from NLEOMF’s John Shanks, there was a ceremonial wreath-laying. At which time, there was a reading of the names of the FBI’s fallen officers by members of the National Academy class. Earlier this year, the FBI tragically lost two officers—Agent Christopher Lorek and Special Agent Stephen Shaw—in an accident during a hostage rescue training. Earlier this month, Law Enforcement Ambassador Gary Jones partnered with his local Books-A-Million in Tallahassee, to hold a special all-day book fair in support of the Memorial Fund. Gary—who was a police officer in Florida for over 36 years and retired as a captain with the Fort Lauderdale Police Department in 1993—has written a number of non-fiction books based on cases in Florida. 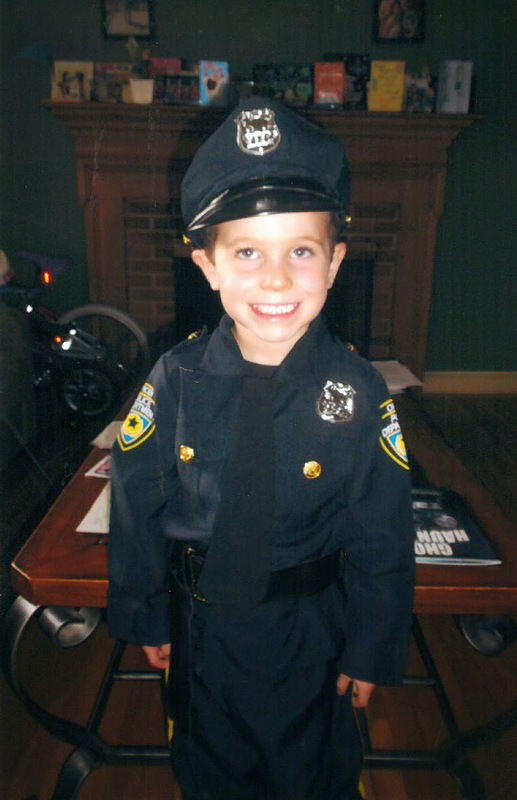 His love of law enforcement, volunteer work, books, and education came together to inspire the idea of a book fair. Gary reached out to the store manager and began planning the event—as a way to honor the memory of Officer Ponce de Leon, who was killed in the line of duty 25 years ago, and to support the Memorial and the law enforcement profession. The Tallahassee Books-A-Million designated July 8th as Officer Ponce de Leon Day at their store. Throughout the day, when a customer showed the cashier a special voucher, the store donated a portion of book sale proceeds to the National Law Enforcement Officers Memorial Fund. A table near the store's main entrance offered visitors some materials and information about the Memorial and the forthcoming National Law Enforcement Museum. It turned out to be a great event that not only raised awareness about the Memorial Fund, but drew attention to the important efforts of law enforcement officers—like Officer Ponce de Leon—in Florida and across the country. Ambassador Gary Jones also holds book signings during National Police Week in the Memorial’s Visitors Center & Store, and donates a portion of his personal book sales to the Memorial Fund. On Wednesday, July 24th, Memorial Fund Chairman and CEO Craig W. Floyd spoke at the Broward County (FL) Sherriff's Officer during a poignant service honoring three of their officers. ﻿﻿﻿﻿The stories of three Broward Sheriff’s Office deputies who were killed in the line of duty will be included in a video tribute at the National Law Enforcement Officers Memorial in Washington, D.C. The three tributes were paid for by American Maritime Officers and by American Maritime Officers Service. They were shown during a presentation at the Broward Sheriff’s Office, after which relatives of BSO deputies Patrick Kelly Behan, Brian Keith Tephford and Paul Rein received a copy of the video. Each video tribute is about five minutes long and will be housed in the National Law Enforcement Museum, accessible online and in person when the museum’s doors open in 2016. 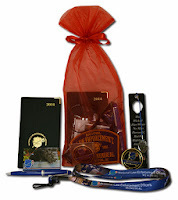 For more information on the Memorial Fund's Recorded Memorial Tribute program, visit our website. On July 24, the Leaders of the House and Senate gathered with the families of Officer Jacob Chestnut and Detective John Gibson for a wreath-laying ceremony. Chestnut and Gibson were slain on July 24, 1998 while defending the Capitol from a gunman who entered through the Document Door entrance. By an act of Congress in 1998, the Document Door was renamed the Chestnut-Gibson Memorial Door. 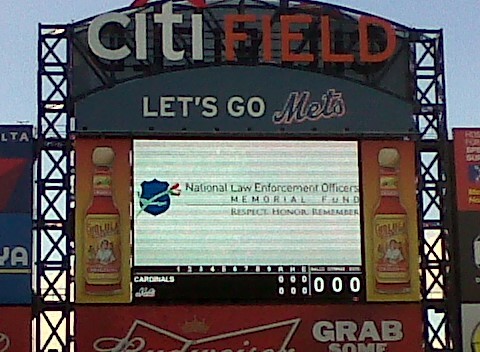 Every year, the sacrifice of these law enforcement officers is honored with a ceremony and a moment of silence. 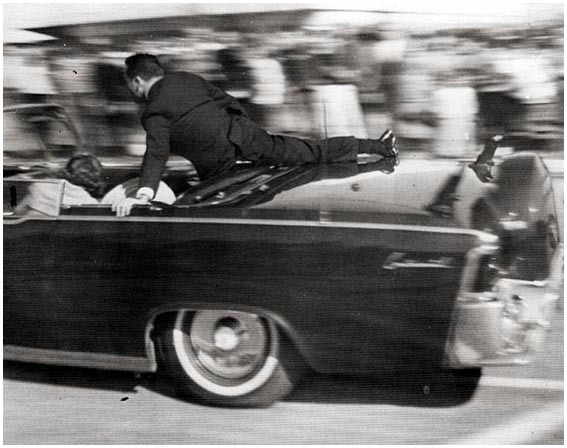 Detective Gibson was a Capitol Police officer assigned to Congressman Tom DeLay’s protection detail. Officer Chestnut was a Capitol Police officer who was on duty at the Document Door entrance. Both officers lay in honor in the Capitol rotunda—Chestnut was the first African American to receive that honor—and are now buried at Arlington National Cemetery. Both officers’ names are also engraved on the Memorial wall. Thank you, Detective Gibson and Officer Chestnut, for your ultimate sacrifice. According to preliminary data, gathered as part of our 2013 Mid-Year Law Enforcement Fatalities Report, 17 of the 51 law enforcement fatalities recorded nationwide in the first half of 2013 were firearms-related—making it the second leading cause of death so far this year. And, even more disturbingly, the leading cause of these firearms-related fatalities was ambush-style assaults, with seven officers killed at the hands in those circumstances. This is the second year in a row in which ambushes were the leading cause of deaths, a trend that we cannot afford to ignore. The VALOR program was created to respond to this precipitous increase in ambush-style assaults that have taken the lives of many law enforcement officers, providing critical nationwide training and technical assistance to sworn state, local, and tribal law enforcement officers. VALOR, through the Bureau of Justice Assistance, offers free trainings to help agencies adequately prepare officers for the threats they face while on duty. Keep an eye out for upcoming VALOR trainings near you by keeping up with our announcements on Facebook and checking the VALOR website. There are currently upcoming trainings in Minnesota and Massachusetts. The Memorial Fund has lost a great friend. Dennis Farina, the long-time real-life Chicago cop turned famous film and television actor, died yesterday at the age of 69. Law enforcement and the entertainment industry have lost one of their finest. 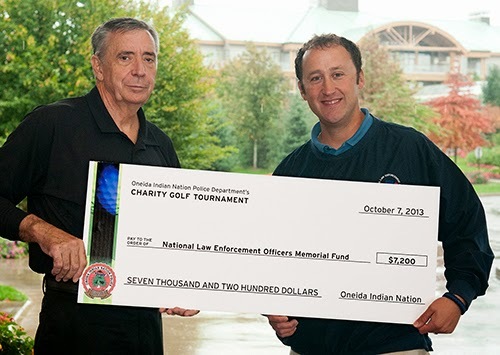 I will always be grateful for the strong and important support that Dennis provided our organization as National Celebrity Chairman when we were building the National Law Enforcement Officers Memorial. He was always there whenever we needed him and he could not have been more gracious. He participated in press conferences during the early days of the Memorial campaign, and he later attended the Memorial dedication in 1991 and the Memorial’s 10-year anniversary gala in 2001. I ran into him a few years ago at the Friars’ Club in New York City and it was like reuniting with an old friend. Our condolences go out to his family and especially to his longtime partner, Marianne Cahill, who joined Dennis at many of our events. 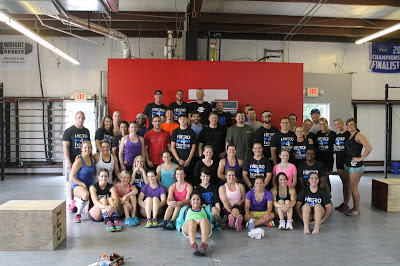 Dennis will be missed, but not forgotten by us here at the Memorial Fund. Today, a group of 30 Law Enforcement Career Explorers and 5 advisors, managed by the U.S. Secret Service (USSS), visited the National Law Enforcement Officers Memorial to learn more about the ultimate sacrifice paid by Law Enforcement Officers, including 29 Secret Service agents, around the nation. The group's brief ceremony was led by Retired Newport Minnesota Police Chief Veid Muiznieks. Chief Muiznieks is a senior advisor with the Law Enforcement Career Explorers and has overseen 390 explorers during his tenure with the organization. During the ceremony, Chief Muiznieks told the story of the first Secret Service agent that died in the line of duty, Operative William Craig. Operative Craig was struck and killed by a trolley car in 1902 while protecting President Theodore Roosevelt in Lenox, Massachusetts. His name can be located on the National Memorial on panel 16E. The Explorers then placed a wreath at that panel to honor Operative Craig. Law Enforcement Career Exploring is a career orientation and experience program for young people contemplating a career in the field of criminal justice. It's mission is to offer young adults, ages 14-21, interested in a career in law enforcement a personal awareness of the criminal justice system through training, practical experience and other activities. Agencies from federal, state, and local levels coordinate the Law Enforcement Exploring programs throughout the United States. 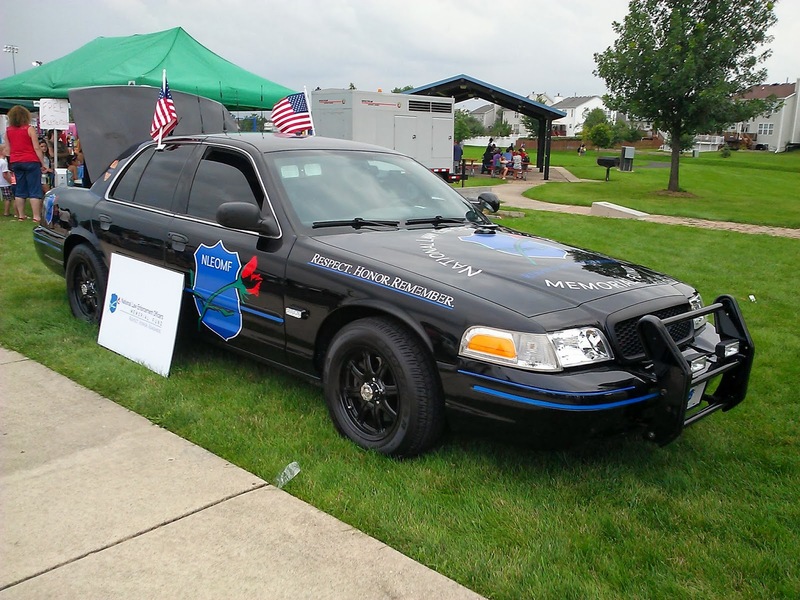 The majority of the community programs are managed by local police departments, including Sheriffs, Chiefs of Police, and State Police. 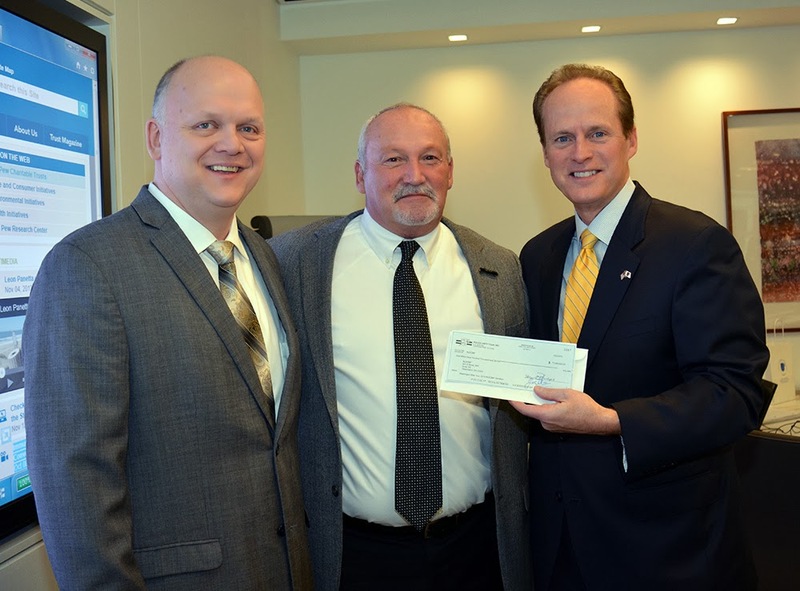 In addition, many federal agencies offer their support. The USSS Explorer group comes to the memorial every other year. Last Thursday, July 11, the National Law Enforcement Officers Memorial Fund, in conjunction with Concerns of Police Survivors (C.O.P.S.) 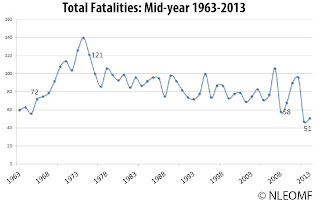 released our 2013 Mid-Year Fatality Report. According to preliminary data, 51 law enforcement officers have been killed in the line of duty during the first half of 2013. This is a nine percent increase over the same period in 2012. 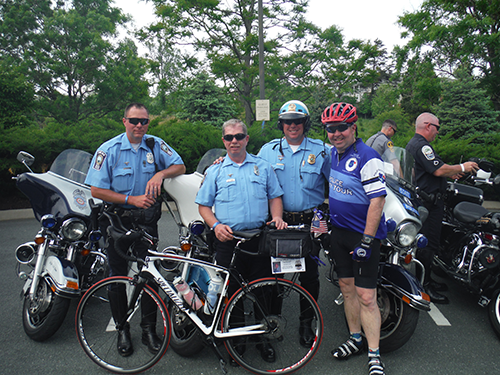 Officer.com's article "NLEOMF: Work Left to be Done in Preventing LODDs" posted last Friday assisted with further expanding on the findings of the Mid-Year fatality report. 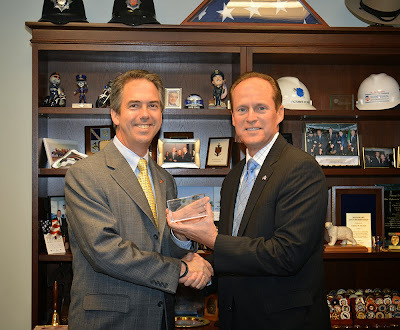 In addition to an in depth examination of the report's data, Officer.com posted a podcast featuring the Memorial Fund's Chairman and CEO Craig Floyd speaking with Officer.com Associate Editor Paul Peluso about the data from the report as well as what is being done to prevent on-duty deaths and enhance the safety of officers. The Memorial Fund's 2013 Mid-Year Fatality Report was also featured by WUSA9, KUAR and WSB Radioamong others. You can find the 2013 Mid-Year Fatality report and read it for yourself here, and you can also view an interactive state map and further information here. The Law Enforcement Explorer Leadership Academy, hosted by the U.S. Marshals Service, visited the National Law Enforcement Officers Memorial this week as part of their summer session in Washington, DC. Memorial Fund Chairman & CEO Craig W. Floyd met with the Explorers and shared powerful stories about some of the officers, namely U.S. Marshals, whose names are inscribed on the Memorial walls. Law Enforcement Exploring is a career orientation and experience program for young people (ages 14-21) contemplating a career in the field of criminal justice. Its mission is to offer young adults a personal awareness of the criminal justice system through training, practical experiences, and other activities. The National Law Enforcement Exploring Leadership Academies are biennial events, hosted by federal law enforcement agencies, which provide select Explorers with the opportunity to learn the dynamics of leadership and other skills. 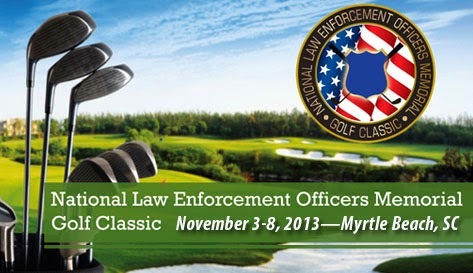 Information about Law Enforcement Exploring can be found on their website.